This is a copy of a letter published in The Jakarta Post, Saturday, May 19, 2012. Please cite as: Deflem, Mathieu. 2012. "No Permit for Lady Gaga." Letter to the Editor. 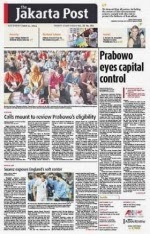 The Jakarta Post, May 19, 2012. It is alarming to read that the Indonesian National Police have decided, on the basis of a recommendation by the Jakarta police, not to issue a permit for the Lady Gaga concert planned at Gelora Bung Karno Stadium. The main reason to be alarmed is not only that more than 50,000 fans of the singer cannot enjoy the show they freely wish to attend, but also that the police authorities have displayed a most unprofessional attitude in this matter. Of course, members of private citizen groups have the right to voice their opinions, even if they are wholly uninformed of the true nature and meaning of the music and concerts of Lady Gaga. Having attended the singer’s shows on several occasions, I know her message is a wholly positive one, centered on tolerance, peace, and kindness. 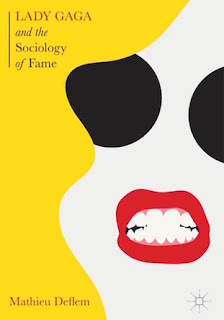 But even if opinions on the value of Lady Gaga may differ, it is dangerous for the Indonesian police to bow to the pressures of a specific group at the expense of its professional mission to represent the law on behalf of all the people of Indonesia. In violation of the standards of police professionalism, the recommendation by the police of Jakarta was guided by specific religious standards that coincide with those of a fundamentalist group. However, a modern police force ought to conduct itself independently from any political, religious, or other moral convictions. A modern police force instead relies on professional standards to use the most efficient means to accomplish important objectives of crime control and the maintenance of order. While Indonesian police officials have said they do not want people to clash because of the Lady Gaga concert, it is very dubious if this goal is now accomplished, because the decision by the police itself may invoke further discontent and conflict. The police have an important role to fulfill in balancing the various opinions that are expressed in a modern democratic society, but they should not just take sides with one opinion at the expense of all others. Forbidding a concert on the basis of the concerns of a pressure group, which is not representative of broader segments of the population, in effect sets the Indonesian police a giant step back to a time when police represented arbitrary power rather than principles of law. The people of Indonesia have every right to expect much more and much better from their authorities.